A “lean” approach amplifies both profits and purpose. Corporate philanthropy. Benefit corporations. Nonprofits and non-governmental organizations. Doing well while doing good seems to be all the rage these days. Sounds ideal. But, if we are truly intent on achieving both, we need to start taking social impact just as seriously. Mission-driven organizations have an equal opportunity to apply the principles and practices of innovation to maximize their impact–but few take it. The obvious place to turn is innovation approaches such as design thinking, rapid prototyping, and open innovation. They have helped businesses break through inertia and build game-changing products, but are still surprisingly uncommon when it comes to social good. While the world around us continues to change at an astonishing pace, the efforts to feed the hungry, house the homeless, and right injustices seem not so dissimilar to a decade ago. A new book by Silicon Valley tech veteran and innovation advocate Ann Mei Chang, Lean Impact: How to Innovate for Radically Greater Social Good explores the unique challenges that can deter social innovation. With a foreword by Eric Ries, the founder of the Lean Startup movement, Lean Impact shares practical tools with inspiring examples drawn from a diverse array of more than 200 nonprofits, social enterprises, and mission-driven companies Chang interviewed in the course of her research. And a new mindset is needed, Chang contends. Across donors, impact investors, volunteers, boards, and staff, people are too easily satisfied by the notion of doing some good. Instead, she proposes three core principles that may sound simple, but can lead to lasting, transformative change. When companies build a business strategy, they start with the addressable market and decide where to play. On the other hand, when organizations build an impact strategy, they tend to start with the resources at their disposal and draw up plans based on those constraints. See the disconnect? No wonder few manage to make a dent. The first mindset shift is to increase the scope of your ambition. Aim high. Set an audacious goal based on the need that exists in the world, then map out what it will take to get there. This simple stake in the ground is where social innovation begins. If the same old story isn’t going to get you close to your goal, then you’ll be forced to think out of the box and take some risks. Whether due to pressure from funders for tangible results or a desire to do something about real suffering, mission-driven projects tend to focus on delivering as much as possible, as quickly as possible. This makes sense in the rare cases where you have a scalable solution that works. But if not, you’ll make a bigger difference by starting small and prioritizing learning over execution. Value. Are you providing something that meets a deeply felt need for your “customers”? Will they demand it, stay engaged, and recommend it to their friends and family? When you are serving people from different cultures and circumstances, your instincts for what matters may be off. What’s more, if your beneficiary isn’t paying for your product or service directly, you can’t rely on purchase behavior as a natural feedback loop. Growth. Philanthropic dollars can help you get started, but are rarely sufficient to reach the full scope of needs. Thus, if you hope to move the needle appreciably, you’ll need to design and validate an engine that will accelerate growth over time. Potential “business models” for good encompass a broad spectrum and include variations on fee-for-service, replication, and government adoption. Impact. Of course, we can’t forget the most important question: “Does it work?” Are we achieving the social benefit we intend and to a sufficient degree? As many forms of impact can take a long time to fully realize, you may have to test precursors to get an earlier indication of whether you are likely on track. You say you care about social good, but when push comes to shove, what drives your decisions? Are you wed to deploying a particular technology? Looking for good public relations for your company? Emotionally attached to an existing solution due to pride of ownership? To maximize impact, you’ll need to set aside any such attachments and rely on innovation accounting to steer the way. This means focusing on the unit metrics such as conversion rate, success rate, and unit costs that will pay dividends over time. 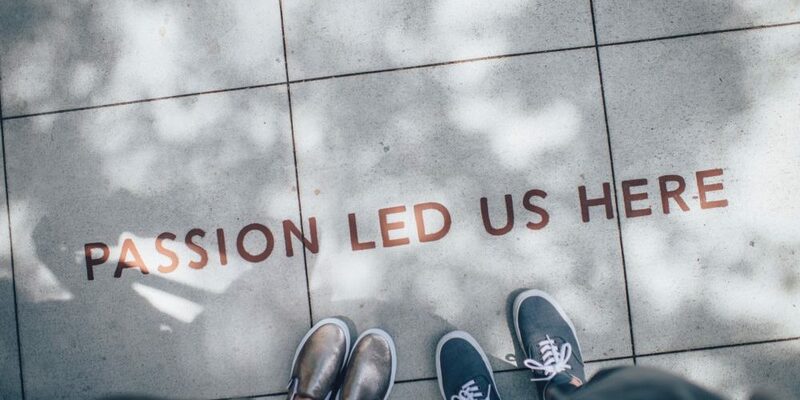 Delivering on your social mission requires just as much ambition, rigor, and agility as creating a thriving business. It may be hard, but the world will thank you.